President Pranab Mukherjee on Tuesday approved the appointment of two additional judges to Jharkhand High Court and three additional judges to Chhattisgarh High Court. As per the notifications, the appointment of Shiva Nand Pathak and Rajesh Shankar as additional judges of Jharkhand High Court has been confirmed. Justice Sanjay Agrawal, Justice Rajendra Chandra Singh Samant and Justice Anil Kumar Shukla have been appointed as additional judges to Chhattisgarh High Court. Appointment of additional judges Justice Rongon Mukhopadhyay and Justice Ravi Nath Verma as judges of Jharkhand High Court has also been notified. 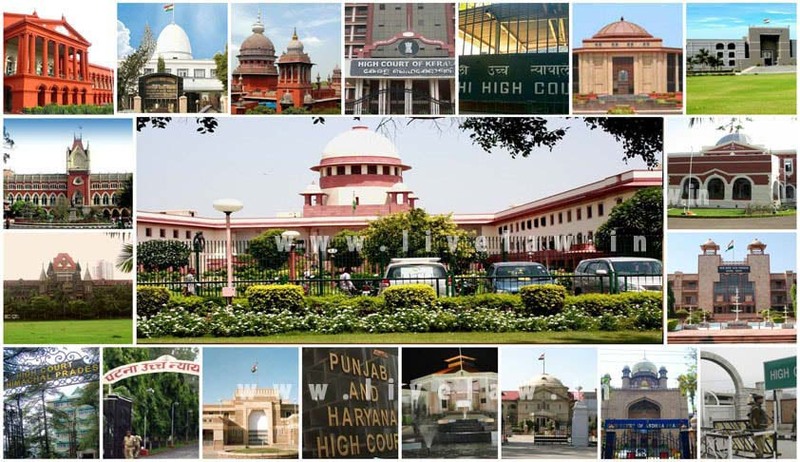 The President further approved transfer of Justice Jaishree Thakur and Justice Anupinder Singh from Rajasthan High Court to Punjab and Haryana High Court, with a direction to assume charge of their respective offices on or before 10th October, 2016. The transfer of Justice Songkhupchung Serto, additional judge of Manipur High Court, as an additional judge of Gauhati High Court has also been notified.